Graham Cluley, senior consultant with security firm Sophos, said that users' annoyance was less about the product's purpose than the manner in which it was made live. "Once again Facebook seems to be sharing personal information by default," said Mr Cluley. "Many people feel distinctly uncomfortable about a site like Facebook learning what they look like and using that information without their permission." Mr Cluley explained that Tag Suggestions did not mean, as some have suggested, that users would be able to identify strangers from their photographs. "As your Facebook friends upload their albums, Facebook will try to determine if any of the pictures look like you. And if they find what they believe to be a match, they may well urge one of your Facebook friends to tag it with your name,". "The tagging is still done by your friends, not by Facebook. But rather creepily Facebook is now pushing your friends to go ahead and tag you." 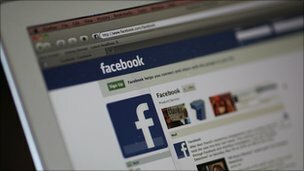 Defending the technology, a Facebook spokesperson told the BBC that there had been "misconceptions" about what it does but apologised for not properly informing users. "Tag Suggestions are only made to people when they add new photos to the site, and only friends are suggested. "We should have been more clear with people during the roll-out process when this became available to them," said the spokesperson. Privacy experts have long argued that users should have more control over who is tagging them and have called for 'privacy by default' to be rolled out in all of Facebook's settings. Subsequent simplifications went some way towards placating campaigners. An investigation by the Canadian privacy commissioner Jenny Stoddard concluded that Facebook had made vast improvements but warned the company that it would be monitoring future changes. Ms Stoddard said that there was room for improvement and recommended making default settings for photo albums more restrictive. Facebook founder Mark Zuckerberg has made no secret of the fact that he believes life on the web should be social "by default".